We did it! 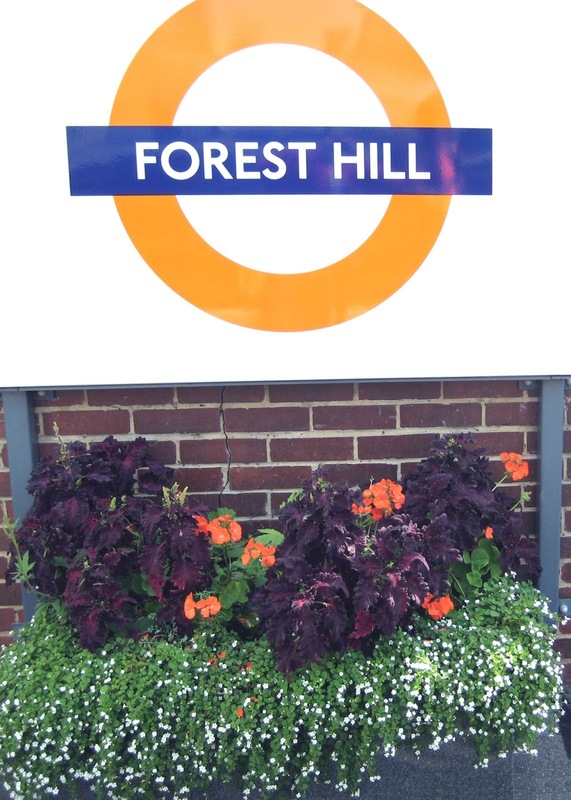 Today we were awarded OUTSTANDING again for our planting in Forest Hill town centre and in and around the station. Many, many, thanks to all those who contributed their time, strength and handiwork to making this possible. Now we can all be inspired to go forward towards Saturday 14 October from 2pm to spruce up those planters and get them looking in a good condition to get through the winter. We are almost reluctant to share this Forest Hill secret with you as we quite like having it all to ourselves! We have a new hidden gem on the Perry Vale side of the Forest Hill station where you can enjoy a fantastic pizza or pasta and the best tiramisu I have tasted, all in a beautiful outdoor setting. Piazza della Cucina at 15 Perry Vale is the venue, and it has recently replaced Cinnamon, which was a very nice Indian restaurant. It has proved to be a very welcome addition to this stretch of Perry Vale, which has seen several establishments open in the last few years, especially: Waters fishmonger and greengrocer; the Perry Vale restaurant, which is doing well; and the newly opened Clapton Craft and popular and well-stocked Crafty Beer shop, each of which have an astounding range of craft beers. But back to Piazza della Cucina, which a group of us recently visited for a ‘quick’ after-work pizza, as the freshly baked pizzas straight from the pizza oven are marvellous. It was a warm night and we were, on entering the restaurant, asked whether we wanted to sit in the garden! Garden? “What garden?” we asked. We were not aware that it had a garden, let alone the delight into which we walked. Walk along the upstairs corridor, down some wooden steps, and you are in Italy! The garden is huge, beautifully designed with the most amazing timber-roofed and decked area, resplendent with geraniums and planters and an outside bar. There are tables under cover in the decked area or you can sit on the uncovered part. There are lovely metal tables and the whole garden is full of authentic Italian touches. All of the timber for the wooden structures was imported from Italy since the restaurant's owner, Jacob, really wanted to embrace his heritage and create an authentic Italian ambience. There are few eateries in Forest Hill where you can sit outside, and the outside garden of Piazza della Cucina is the perfect place to sit, talk and eat with family and friends. We would include some pictures here of the outside area but, to be honest, it is so special that I want you to have that WOW feeling as you enter; and a photo here would ruin the experience for you. Go, sit outside, have a pizza, have a glass of Italian wine, have the tiramisu and talk to the owner, but don’t tell anyone… Let’s keep this hidden gem of Forest Hill as our secret… OK? What a summer this has been: first drought, and then torrential downpours, more drought, and even more torrential downpours! But through it all, a trusty band of volunteers has kept planters thriving around Forest Hill town centre; and the ‘tyre towers’ in Perry Vale continue to impress people with fresh green Cordyline plants. 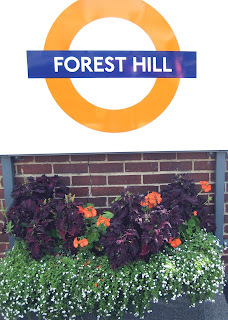 Earlier this year, Groundworks/Energy Gardens planted a new herb trough and apple trees on platform 1 at Forest Hill station. In July and August their com-munity gardener, Victoria Robinson, held three meetings at the station in order to explain the project’s role in creating community gardens and sup-porting gardening activities in primary schools across London. As part of Groundworks/Energy Gardens collaboration with the Forest Hill Society, Victoria committed her final Saturday at the station to weeding, cutting back overgrowth and removing the accumulated debris, helped by local volunteers. In this second article of a two-part series about wartime bombing of Forest Hill and south-east London, Alistair Dey looks at German bombing in the Second World War. German aerial bombing of London in the Second World War can be divided into three main periods: the Blitz between 7 September 1940 and 16 May 1941; the Little or Baby Blitz between January and May 1944; and the V-weapon flying bomb and rocket attacks between June 1944 and March 1945. In between these concentrated attacks, the Germans kept up sporadic day and night ‘hit and run’ and nuisance attacks on towns and cities throughout England. For Londoners, life had a dangerous edge to it right up to the end of March 1945. Adolf Hitler was initially reluctant to bomb London. The Battle of Britain, starting in mid-July 1940, had seen the German air force, the Luftwaffe, attacking shipping in the English Channel and then attempting to destroy RAF Fighter Command by bombing its radar stations and airfields. On the night of August 24-25, German bombers flying along their navigational radio beams towards Shorts aircraft factory at Rochester became confused by British radio beaming countermeasures. The bombers attempted to follow the Thames, missed Rochester and dropped their bombs on London. The following night 81 British bombers flew towards Berlin. Many lost their way but, while actual damage was slight, bombs did fall on central Berlin. The psychological impact was enormous. Outraged, Hitler ordered the Luftwaffe to concentrate, from 7 September, on all-out night attacks on London — which became the start of the Blitz. This gave the RAF a chance to recover. When the next German daytime raid took place on 15 September, the Luftwaffe suffered their heaviest losses in the air war over Britain, forcing the Germans to reconsider their tactics. On 17 September Hitler postponed Operation Sea Lion, the planned invasion of Britain. The Battle of Britain was over. Henceforth, the Luftwaffe concentrated on bombing London and then other industrial cities at night. For 77 consecutive nights, except for one night when the weather was bad, large formations of German planes bombed London. The Blitz ended on 16 May 1941 largely as a result of Hitler’s decision to invade Russia in June 1941, which diverted aircraft from bombing London and other British cities to the attacks on the Eastern front. This was a welcome relief for Londoners and probably Hitler’s biggest miscalculation in the war. As the Luftwaffe turned towards the east, air-raid casualties decreased dramatically in the following two years. The Baby Blitz was a series of attacks by the Luftwaffe during January to May 1944. These were largely retaliatory attacks against the pounding of German cities by the RAF in 1943. 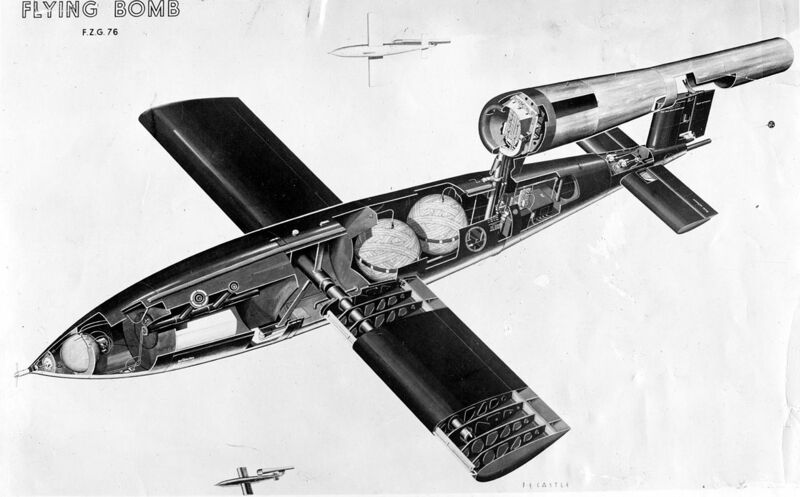 The Germans had originally planned to retaliate against Britain by bombarding the south of England with V1 flying bombs but, as a result of technical development problems, this course of action had to be postponed. Consequently, the new series of retaliatory attacks on Britain were undertaken by conventional bombers. The Baby Blitz killed 1,500 and seriously injured 3,000 in London. The severest battering in our area was on 22 March 1944 in a raid which lasted little more than an hour, but caused over 500 fires in south-east London. Destruction included 35 fires in Perry Rise, Perry Vale and Garlies Road, including the roof of Perry Rise Baptist Church being destroyed; and 36 house fires in Hawksfield, Allenby, Pearfield and Marler Roads. Incendiary bombs killed one person at 189 Perry Vale, two people at the corner of Kilmorie and Vancouver Roads, a fire guard in Lescombe Road (near the Bell Green gasworks, which were always a potential target), two people at 82-84 Vancouver Road and one person at 14 Perry Rise. The final period of concentrated attacks on London came from V-weapons and started on 16 June 1944. These Vergeltungswaffen or ‘retaliation weapons’ were the V1 flying bomb and the V2 rocket. The V1 attacks came as a shock just ten days after the D-Day landings in Normandy. The V1 was a small pilotless aircraft powered by a pulse-jet engine, and catapulted from launch ramps located at hundreds of sites in Holland, replacing those lost in France and Belgium after D-Day. About two-thirds of the V1s crashed prematurely, were toppled by British fighters (which perfected a clever manoeuvre of flying alongside the bomb, then flicking a wingtip under its fins) or were shot down by anti-aircraft fire. Many of the remainder fell on and around London, bringing renewed anxiety and fear to a people exhausted by years of bombing and privation. By March 1945, over 10,000 V1 flying bombs had been fired, causing 24,000 casualties in England and many more in Belgium. Photo: V1 rocket on the left being ‘tipped’ by a spitfire. There was an intense 11-week bombing campaign from 16 June to the end of August 1944. Forest Hill was hit several times by flying bombs between 21 June and early August 1944. The worst week for casualties and number of bombs was between 21 and 26 June. On the 21st, 13 people died in Fermor Road, which was SE23’s single highest number of deaths. On the 23rd, eight people were injured in Ringmore Rise, and a direct hit on the pedestrian subway at Forest Hill station killed three and injured 18, badly damaged the station and wrecked several nearby shops. On the 24th, a V1 killed seven people in Ewelme Road; and on the 26th, eight people perished in Boveney Road. V2 attacks added to the misery. The V2 was the world’s first ballistic missile, fuelled by alcohol and liquid oxygen, and it was impossible to intercept and destroy because it travelled at supersonic speeds. The first V2 crashed at Chiswick in west London on 8 September 1944, killing three people and injuring 17. By 27 March 1945 over 1,000 rockets had fallen on England, killing 2,700 Londoners. The worst V2 incident in England was on Saturday 25 November 1944 when a V2 rocket struck at midday at 277-281 New Cross Road, SE14, when Woolworths and the Co-op next door were crowded with shoppers. 168 people were killed and 123 seriously injured. SE23, however, got off relatively lightly from V2s. The only missile explosions appear to have been on 15 November at the intersections of Kilgour Road, MacLean Road and Stondon Park where 11 died and 15 houses were destroyed in a direct hit; and on 19 December at the intersections of Boveney Road, Devonshire Road and Honor Oak Park. Within the Greater London area 24% of V1s and 21% of V2s fell on the boroughs of Bromley, Greenwich and Lewisham. German bombings, including the Blitz and V-weapon attacks, were a military failure for the Germans, but caused enormous damage to many cities, especially London. The Blitz was the worst period of the war for London and many other cities. Although of little consolation to those subjected to German attacks, the change in targeting away from airfields gave the RAF time to recover and the predictability of the German attacks allowed the RAF to concentrate their fighter planes in a way not possible before. Moreover, Hermann Goering, the chief of the Luftwaffe, made a major error in planning the campaign. Instead of delivering a limited number of devastating attacks on selected targets such as power stations, he ordered long processions of bombers to scatter bombs across wide areas of London during raids lasting ten hours or more. Such tactics meant that, although people got little sleep, the Air Raid Precautions (ARP) personnel, firemen and ambulance services could usually deal with the damage and casualties, though they were very stretched. In fact, the German Blitz was an improvised affair — the Germans had no aircraft specifically designed for independent long-range bombing, no pilots trained for it and no clear picture of what they were attempting to do. One of Hitler’s greatest follies in the final years of the war was the devotion of enormous scientific and industrial effort to the V-weapons. Although these weapons caused great apprehension and misery among the civilians of England (and Belgium), dumping small payloads of explosives with indifferent accuracy on the enemy could not conceivably justify the slave labour, materials and commitment of highly-skilled personnel and technology necessary to create delivery systems. Had Hitler forsaken the propaganda rewards of raining down V-weapons on England — to negligible military and industrial effect — and had concentrated his firepower, for example, on the Channel ports, the consequences could have been serious for the allied armies. The folly of persisting with the V-weapon programme, which drained Germany’s shrinking resources merely to torment the enemy’s population, highlighted the irrationality of Nazi behaviour as defeat beckoned. As a result of the Blitz and relative military inaction elsewhere in the first two years of the war, until September 1941, the Germans killed more British civilians than combatants. 60,000 British civilians were killed during the war, 40,000 of these in the Blitz between September 1940 and May 1941. About half of civilian deaths occurred in London, with 15,000 Londoners killed in August and September 1940 alone. It is estimated that a total of 4,100 deaths occurred in the boroughs of Bromley, Greenwich and Lewisham: 2,250 civilians were killed in the 1940-41 Blitz; 260 in the 1943-44 Bombing Raids and Baby Blitz; 910 by V1 Flying Bombs; and 680 by V2 Rockets. There were also 7,400 serious injuries sustained in these boroughs. Information on the specific bombing incidents mentioned in this article came from the book “Red Alert — South East London 1939-1945” by Lewis Blake, which is available from Sydenham Community Library and online from Lewisham Local History and Archives Centre. In late July the Mayor of London, Sadiq Khan, announced a programme of ‘Liveable Neighbourhoods’ across London, to reduce reliance on cars and to encourage walking, cycling and use of public transport. 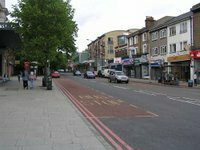 £85.9 million has been made available to London’s boroughs for projects which seek to create healthier and more attractive places in which to live, play and do business. 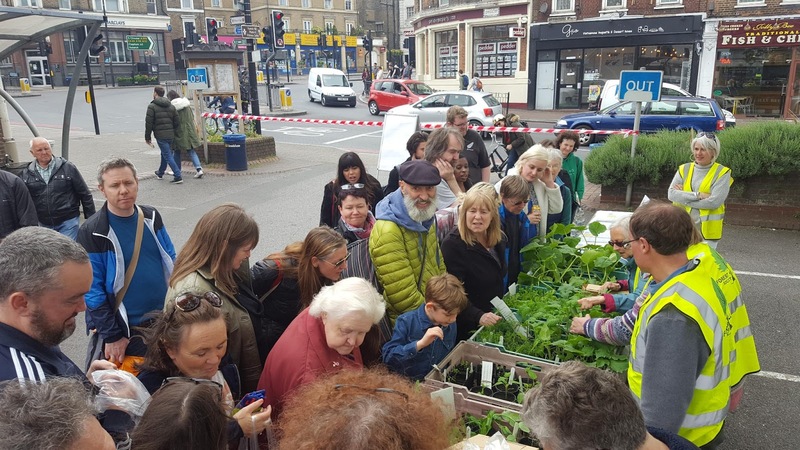 In anticipation of this, the Forest Hill Society and the Sydenham Society have been working behind the scenes to pave the way for a bid for a Liveable Neighbourhood covering Forest Hill, Perry Vale and Sydenham wards. In the coming months, we will be holding community workshops across the area and engaging with key stakeholders, such as schools and elderly people’s groups, to create a truly community-driven plan for walking and cycling. Keep an eye out for our e-newsletters for details, but in the meantime we look forward to getting your input on this unique opportunity to make Forest Hill more liveable and healthier. Slow-worms: They’re Not Slow and They’re Not Worms! Have you ever heard someone explain that a slow-worm is a snake, and a slow-moving snake at that? Or even a large worm? These myths are wrong, although a slow-worm does look rather snake-like at first glance. They are, in fact, legless lizards that can shed their tails and blink with their eyelids, just like other lizards. They are smaller than snakes — around 30cm long — with a shiny, smooth grey skin, and they can live for up to 20 years! 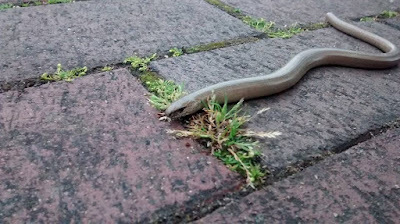 Slow-worms are the most common reptiles to be found in London, and can be found in nature-reserves in south-east London (including along our railway line) where they seek out invertebrates to eat. They spend the winter hibernating in underground tunnels and log-piles until they emerge in March. Like other lizards, they give birth to live young. They like curling up in compost heaps and in warm spaces under corrugated metal, but if you find them they will wriggle away quickly. Cats will catch slow-worms and kill them, so be aware if you have a cat! 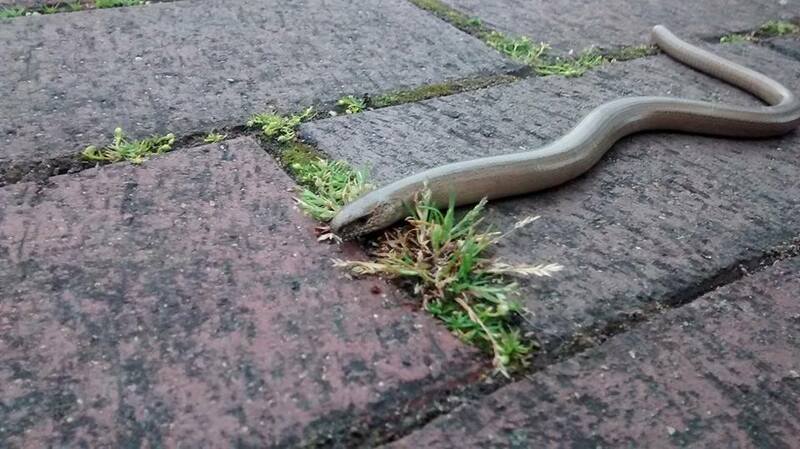 Slow-worms are a protected species; if you find any in your garden Lewisham Biodiversity Partnership would be happy to know. When waste ground comes up for redevelopment, it is important to establish whether slow-worms live there in order to ensure they are protected and new homes found for them. You can help slow-worms by leaving log piles in underused areas of your garden for them to hibernate in through the winter. 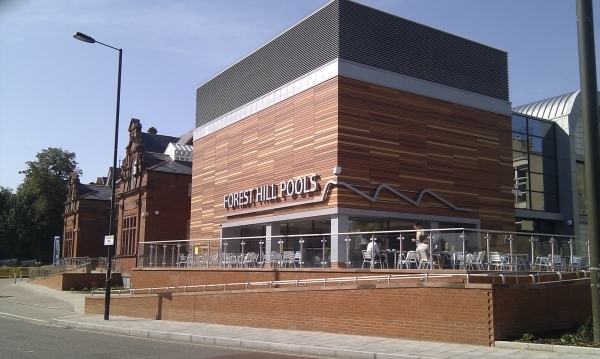 Forest Hill Library is now run by volunteers from the local community who keep it open seven days a week. Thanks to their dedication the library continues to thrive, with visitor numbers up year-on-year and a great atmosphere at many events, especially in the ‘Baby Bounce’ group. The library is always on the lookout for helpful people who can spare a few hours each week. This is a great way to do something worthwhile for the community — helping children and adults to access books and computers. If you are interested in being part of a great volunteer team, please speak to anyone in the library or contact rota [a] fhlibrary.co.uk. This year Walters Way in Honor Oak Park is celebrating its 30th anniversary — with a new book and a special Open House event. 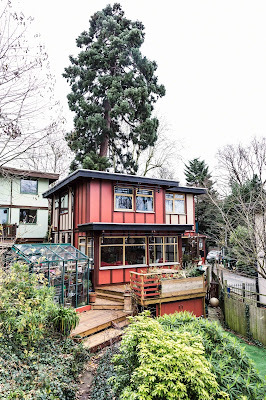 Alice Grahame, author and resident tells us a bit more about these unusual houses. If you have ever explored the Honor Oak area you may have seen the unusual box-like half-timbered houses that make up the Segal self-build estates. They are the result of an innovative housing experiment in the late 1970s and early '80s that was supported by Lewisham Council and led by pioneering, German-born architect Walter Segal. The scheme gave ordinary people from the council’s waiting list the chance to build their own homes using a technique designed by Segal. The self-builders spent around 18 months building, mostly working evenings and weekends. Instead of bricks and mortar the houses were made from timber, panels and bolts — materials that were easy for novices to work with. The resulting homes were light and airy, and raised above the ground on stilts. The two most famous streets were named after their architect: Walters Way and Segal Close. As a Segal resident myself, I was fascinated by the stories behind the houses. I did not build my own house; rather, I bought it from the original builder, who provided intriguing tales about the circumstances that made the scheme possible and about the experiences of the builders. I set out to find out more and this resulted in a book: Walters Way and Segal Close, The Architect Walter Segal and London's Self-Build Communities, produced with Segal Close resident and photographer Taran Wilkhu. For the book we spoke to people who remembered working with Segal on the self-build projects. We included current residents, who explained what the houses were like to live in and about the strong community spirit. The book is now available in bookshops and online. We hope that this book will generate interest in Segal and encourage people to consider self-build as a housing option. Self-build is sometimes pitched as a possible solution to London’s housing shortage. While the government has committed to enabling more self-build homes, it continues to make up a far smaller proportion of the housing stock than in other European countries. One of the direct legacies of Walters Way is the Rural Urban Synthesis Society (RUSS), a new community self-build project set up by Kareem Dayes, who is the son of one of the families who built a house on Walters Way. RUSS has been working with Lewisham Council to create 33 homes on a vacant site in Ladywell, and they are currently crowdfunding to build a community space in the Segal self-build style. RUSS is a membership organisation and is keen for more people to get involved. Walter Segal never saw the Walters Way scheme finished, as he died in 1985, two years before it was completed in 1987. This year we are celebrating 30 years since Walters Way was finished. We are having a special London Open House event on Sunday, 17th September. Both Walters Way and Segal Close will be open to the public, who will have the chance to see inside some of these unusual buildings. There will also be representatives of RUSS on hand to discuss their new self-build project and future plans for community self-build. As part of London Open House on Sunday 17 September, Segal Close is open in the morning and Walters Way is open in the afternoon. Fewer Trains — Not If We Can Help It! Earlier this year Govia Thameslink Railways (which includes Southern) consulted on changes to be made to services from 2018. Together with the Sydenham Society we met with rail planners and discussed our concerns about the planned changes. Initially, Southern were planning to remove extra peak services from our line, leaving just four trains per hour from Forest Hill to London Bridge. Local residents responded that they did not wish to lose peak services of six trains per hour, and these now appear to be safe. The first draft of the consultation included plans to scrap all direct services from Forest Hill to East Croydon — diverting the existing services to West Croydon. Following our representations, we understand that the existing half-hourly services to East Croydon will be retained. Although most East Croydon trains will be retained, no trains are scheduled to run between Norwood Junction and East Croydon before 8:30am. At certain times of the day, particularly in the morning peak, passengers from Forest Hill would need to travel via London Bridge to get to East Croydon and beyond. In the opposite direction — from East Croydon to Forest Hill — there will be no direct trains during the evening peak (as is the case today), but services between East Croydon and Norwood Junction will be reduced to half-hourly, making it harder to connect from East Croydon to Forest Hill. There is to be a reduction in late-evening trains from London Bridge to Forest Hill, resulting in a half-hourly service after 10:30pm. We had hoped that the completion of the Thameslink upgrade would mean a better service for South Londoners, but in the latest plans this is not the case. We will continue to fight to retain our train services and look for further improvements, such as upgrading all Southern’s services via Forest Hill to 10-carriage trains. Members and non-members are invited to our Annual General Meeting on Thursday, 19th October 2017, 7:30pm at Louise House (adjacent to the library on Dartmouth Road). Our AGM sets the direction for the Society in the year ahead and elects the Executive Committee. If you are interested in getting more involved on the Executive, or in any other way, please contact michael@fhsoc.com for more details.